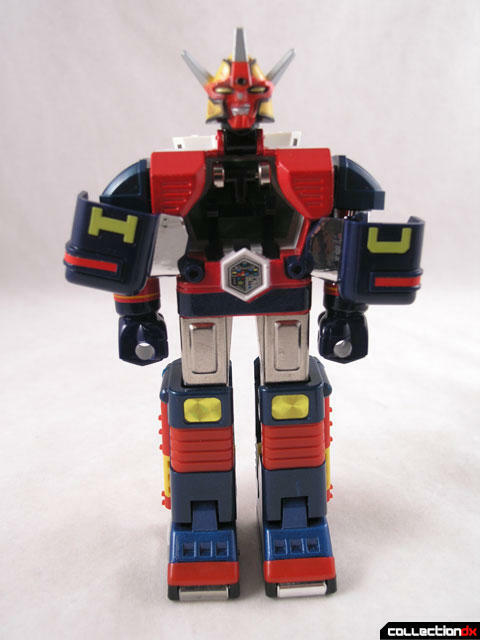 Daidenjin comes from the 1980 Super Sentai series Denshi Sentai Denjiman. 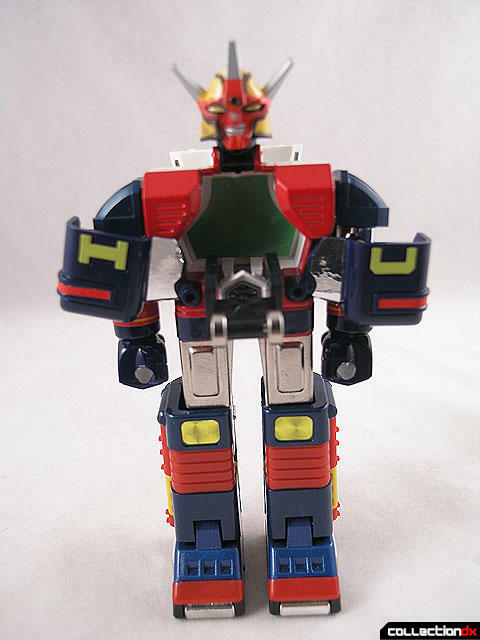 Denjiman was the first sentai series to have a transforming giant robot, and the first to have personal transformation devices, or what would later be known as “Morphers”. 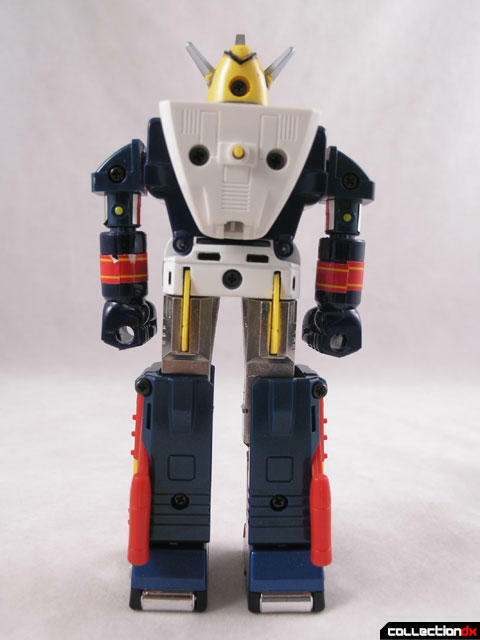 American collectors may recognize Daidenjin from the original release of Godaikin toys. 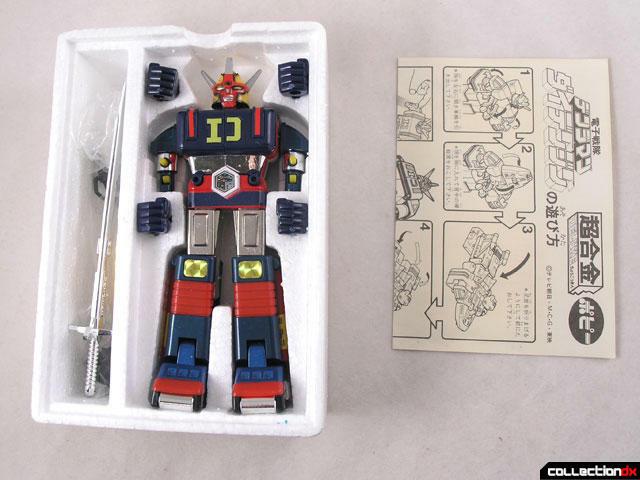 In 1984, Bandai repackaged the DX Daidenjin for inclusion into the Bandai America toy line. 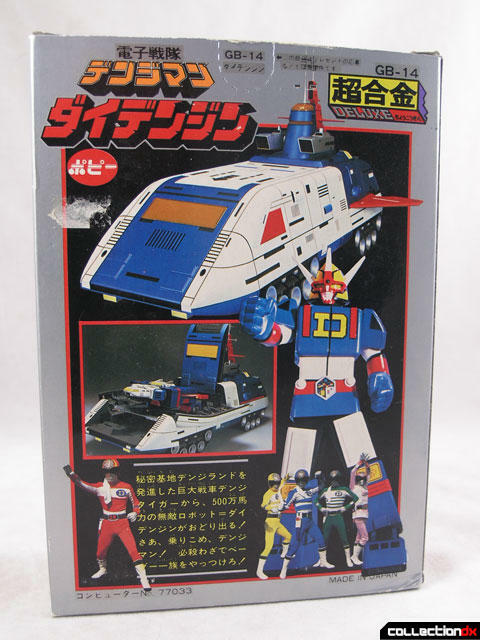 For me, when I think of DX Chogokin, I think of the big, expensive combining sets, and the ST was their standard counterparts. Think of DX Combattler next to ST Combattler. 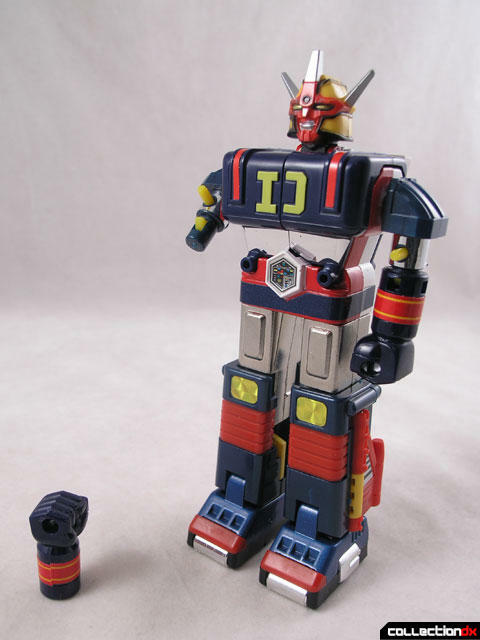 But some DX Chogokin were not much bigger than their ST counterparts. 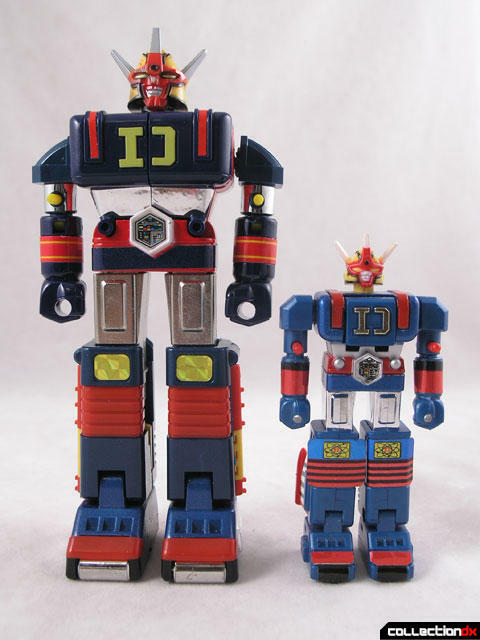 The DX Daidenjin is about the same height as the ST Combattler, which makes things really confusing. 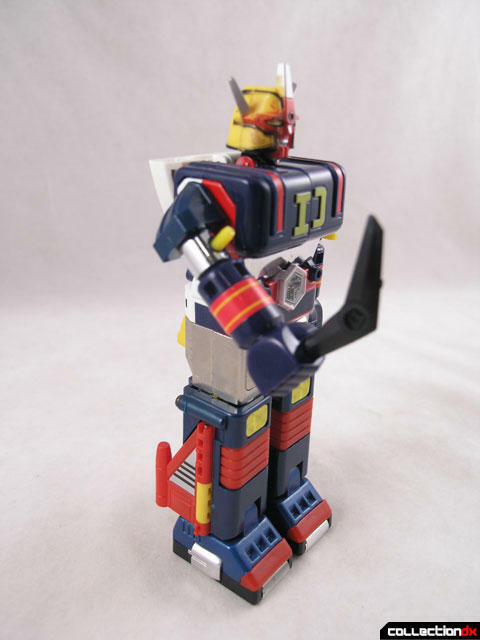 The DX is a really beautiful, sought after toy. The transformation is excellent and convincing, and it’s also a perfect transformation, meaning no part swapping is needed. The box is the classic standard Popy box. Beautiful illustrations and photos are surrounded by the classic silver border. Inside the box, the toy rests in an old Styrofoam tray with a lid. Instructions and a catalog card are included. Part of the card looks like a survey that you can mail in. Starting at the top, the head is immobile. Be careful of the head spikes, they are the most frequently broken parts on this toy. Good luck finding a loose one with no broken spikes. The shoulders move, and each hand fires. Four fists are included. 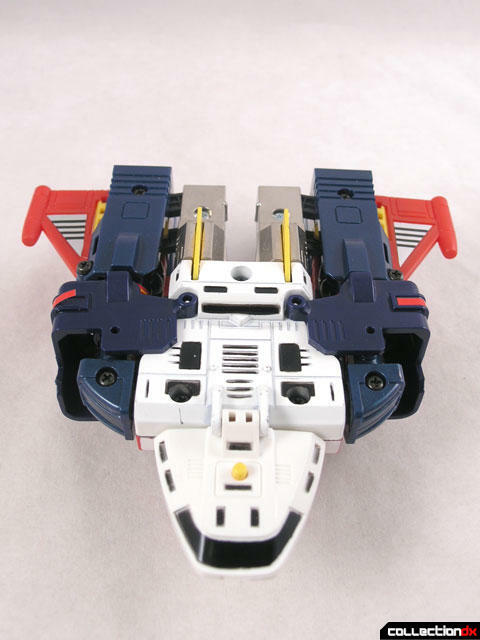 The outer chest is plastic, while the inner frame is metal. From the chest down, the toy is immobile. 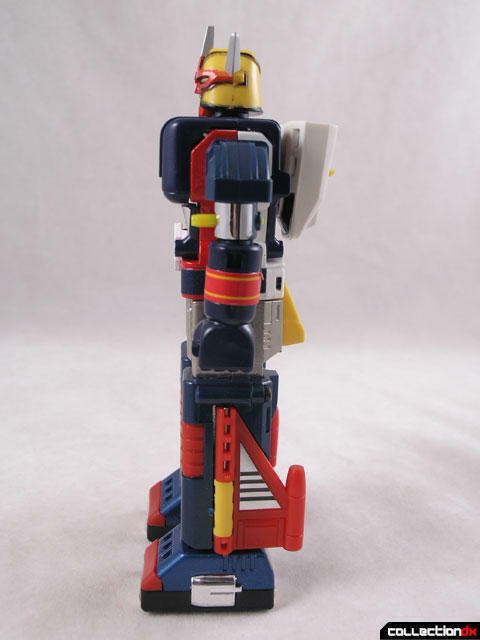 The upper legs are metal, while the lower legs are plastic. The feet have wheels on them. 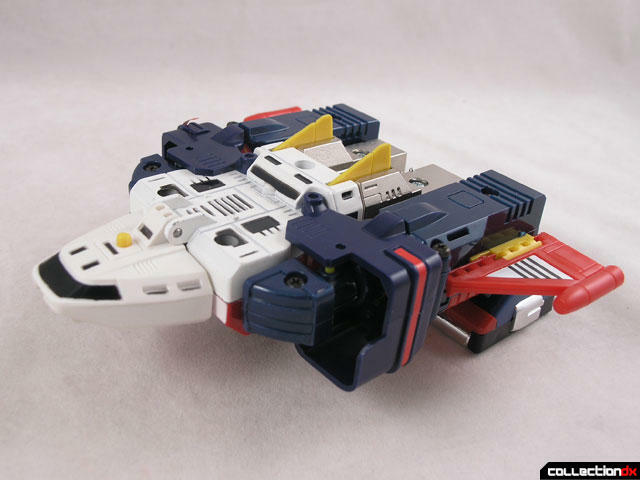 In robot mode, the toy uses three accessories: The Denji Sword, Denji Ball, and Denji Boomerang. 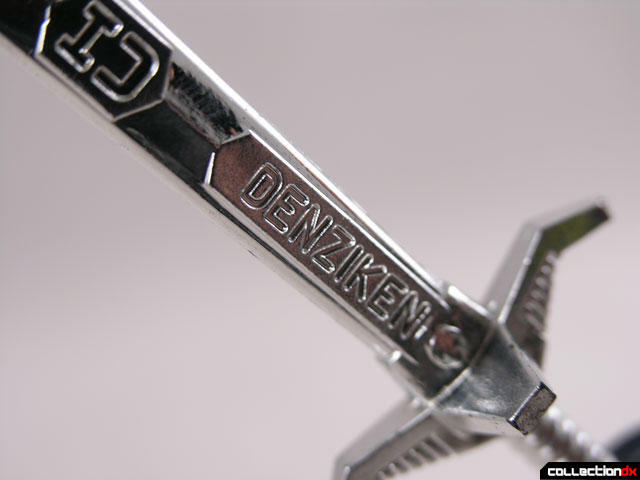 The Denji Sword is beautiful chrome, with the sword name “Denziken” embossed onto the blade. The Denji Ball is a flexible plastic handle that ends in a spiked rubber ball. This is often missing or corroded over time. The Denji Boomerang is a small black plastic boomerang that fits into the hand. First step is to open the chest compartment. You do this by splitting the chest down the middle and swinging each section down to the side. Pull the landing gear assembly out, and then fold the head down into the cavity. From the back, flip the white section up to where the head was. Then take each leg and pull out to the side and up until it meets the chest parts. Fold the feet and fold down the wings and you are done! Vehicle mode is solid. 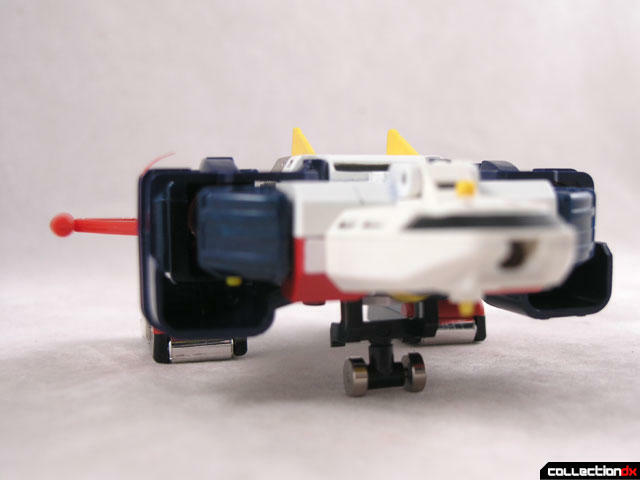 In this mode, the Denzi Fighter has a missile launcher in the tip of the nose, which fires quite far. The toy rolls freely on the ground. 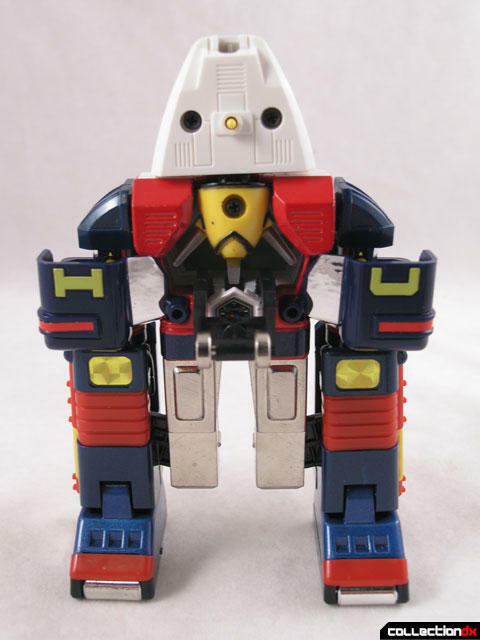 This toy is an excellent example of the cutting-edge toy technology of the time. While the Japanese Box is more beautiful (in my opinion) the Godaikin version is less expensive and more accessible to the domestic market. Beautiful! I don't ever remember seeing these as Godaikin toys in any of my catalogs. This has got to be one of the rarest ones released here in the states. This is news to me! Daidejin is really never talked about much being stuck between two huge Super Sentai shows. Thanks for shining a light on this not often talked about show. 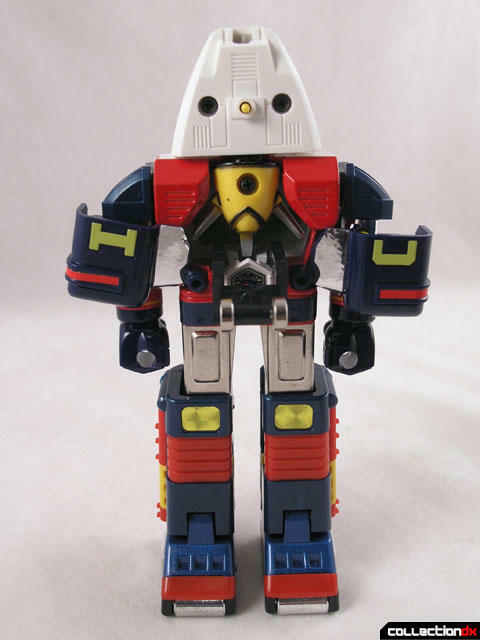 SOC really needs to start making more Super Sentai robots, especially this and Sun Vulcan. 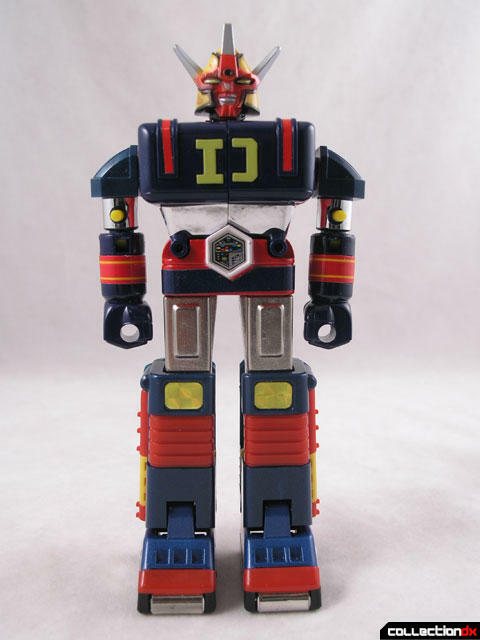 "SOC really needs to start making more Super Sentai robots..."
I'd even accept if they don't combine, that way the development budget is placed in the individual unit rather than how it combines. A proto drawing WAS made for an SOC Daidenjin. Cancelled after Leopalden. 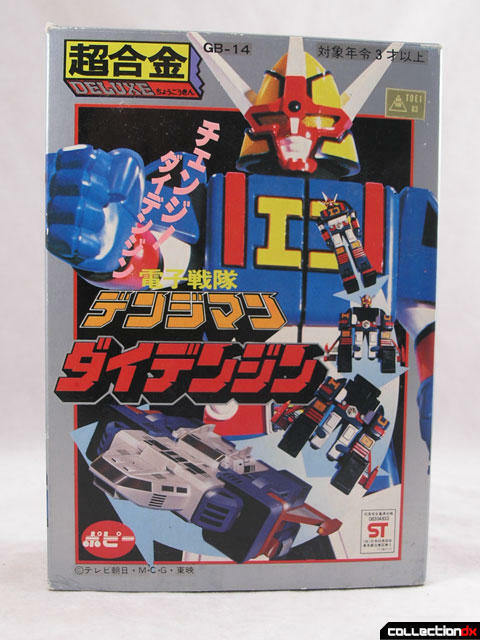 This one is borderline too-old school for my tastes (I won't get the Battle Fever Robo), but I would be willing to get the DX version of the Daidenjin. 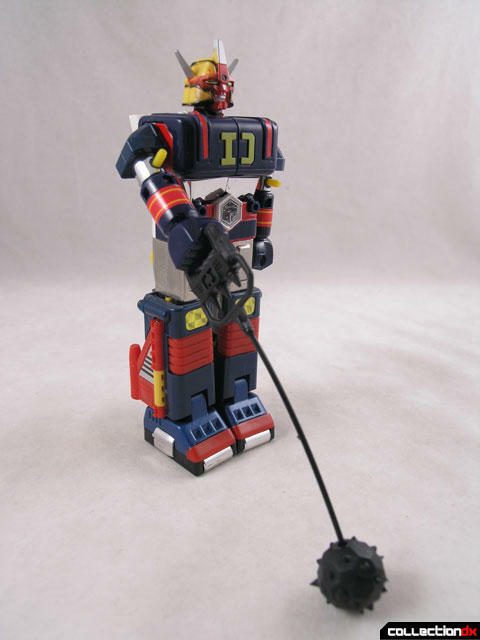 It's one of many pre-PR era robos I'd like to get. 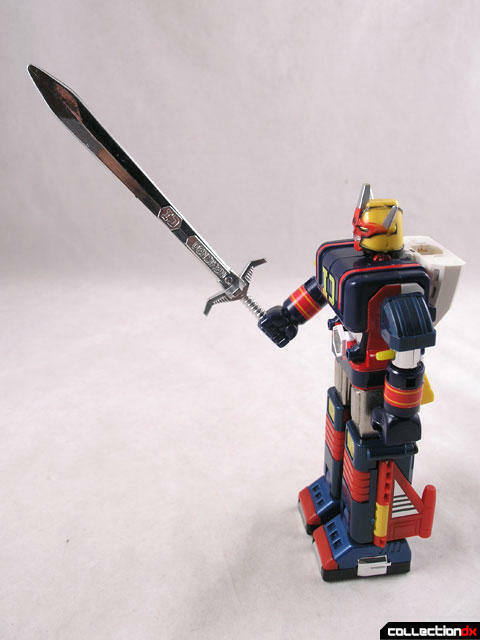 Actually, it seems that on the blade of the Denzi Sword is the original, untranslated Japanese name "DenziKen"
Umm... "DenziKen" means "Denzi-Sword" when translated. 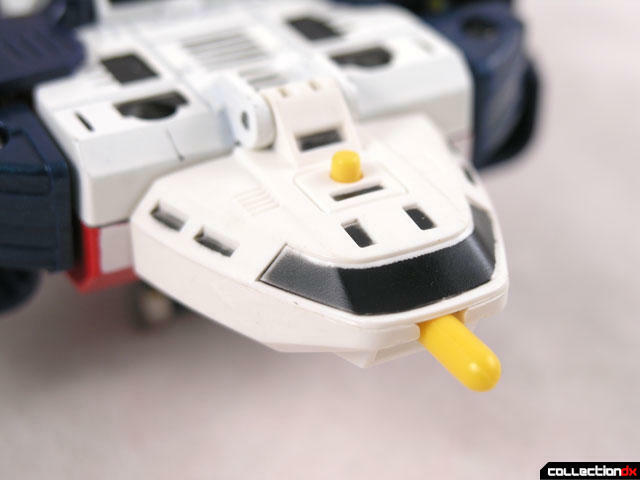 More so, it means "electromagnetic sword". Yep, it does that too. You are correct- good catch. You are correct- good catch. Change made. Thanks! Where's the sweet video review?